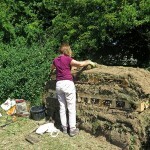 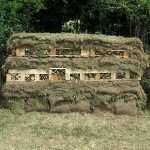 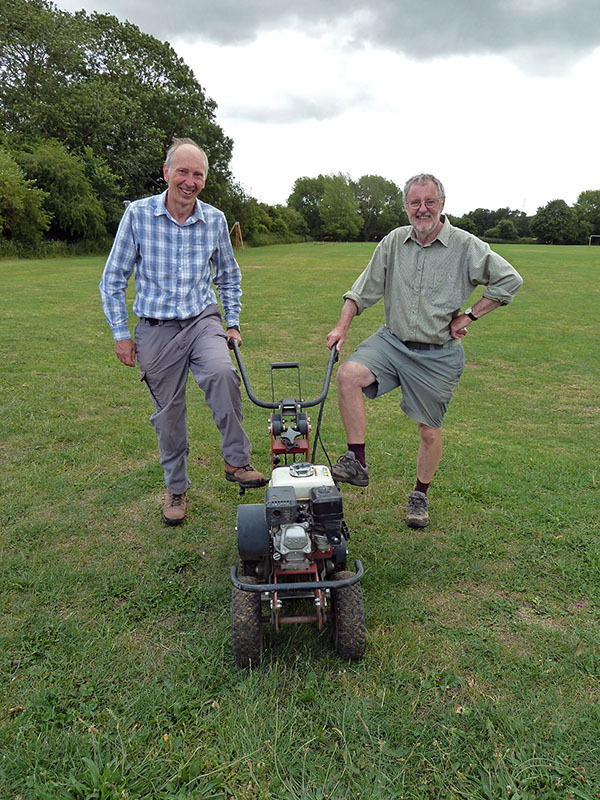 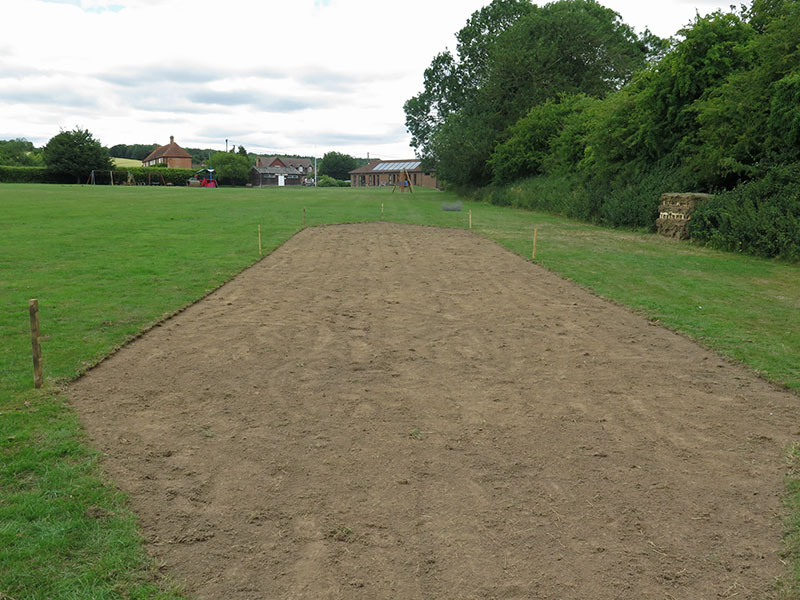 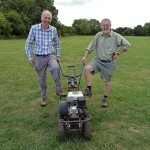 Work has started with the help of volunteers to create a wildflower area on Froyle recreation ground. 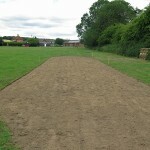 A turf cutter was hired as part of removing the top layer to leave bare soil. 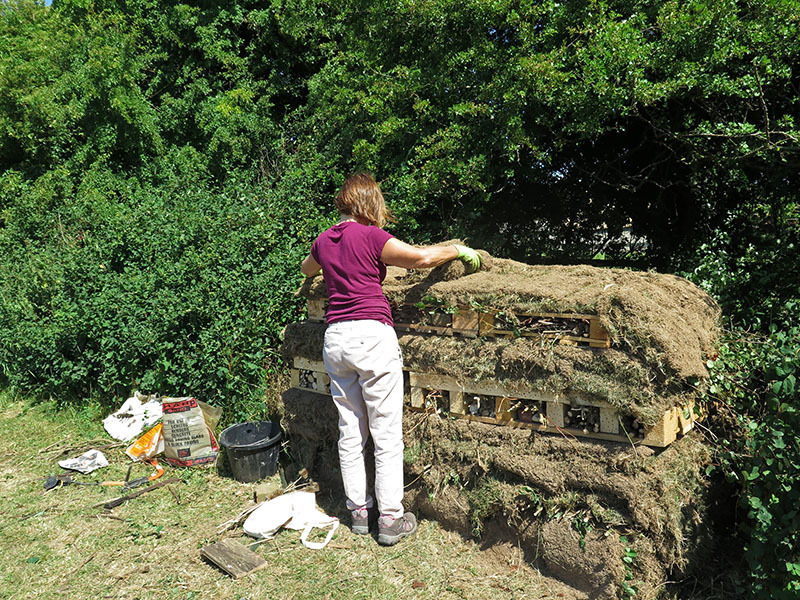 Thanks to the 10 helpers who rolled and lifted the 3 tons of turves then stacked them into two habitat piles layered with wooden pallets. 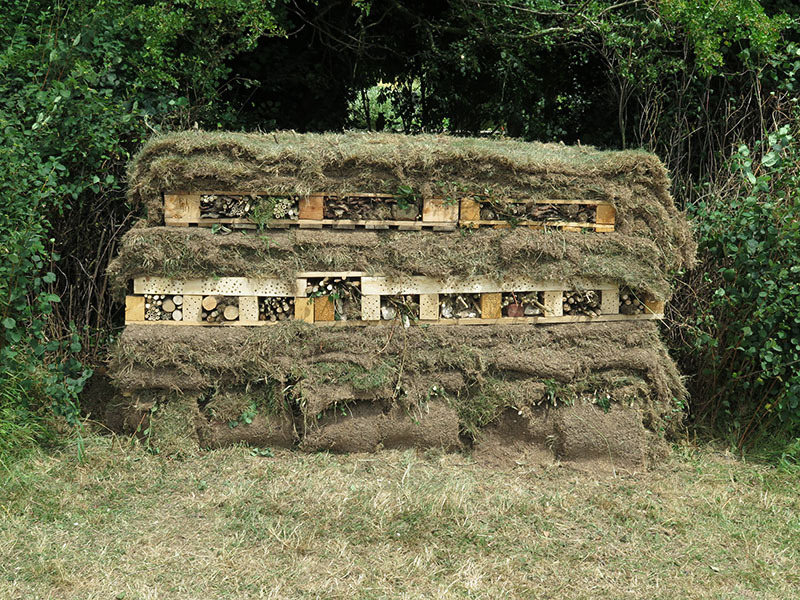 These potential ‘homes for wildlife’ can benefit lacewings, solitary bees, beetles, toads and other species –so lets us know what you see there. 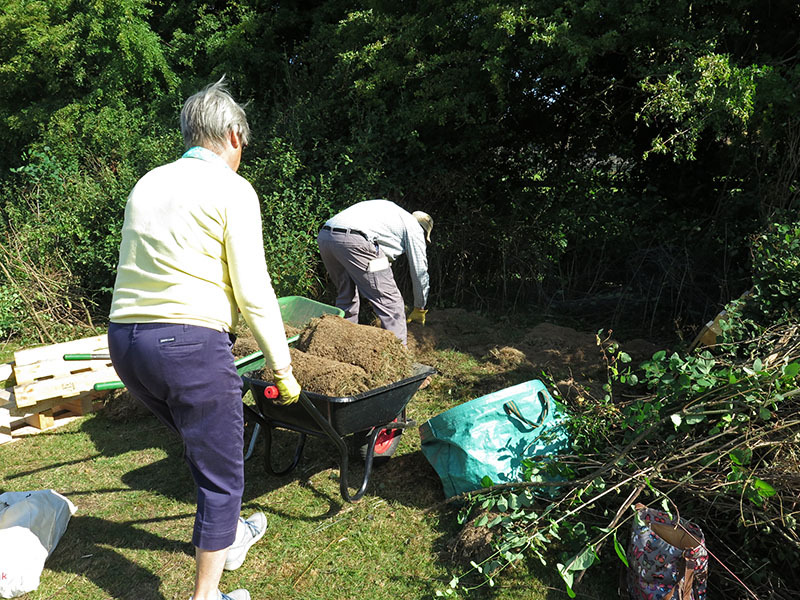 Next we will hoe weeds every 3 weeks on Sundays 9th and 30th August and 20th September at 9am and again assistance would be appreciated. 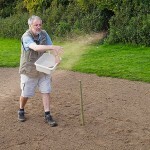 The Wildflower seed should be sown in late September depending on weather. 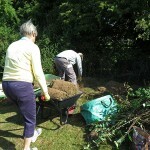 Updates- On 9th August we removed deep rooted weeds such as dandelions and started to hoe. 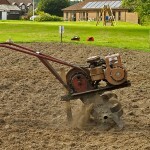 The ground was too dry and hard to easily break up the soil. 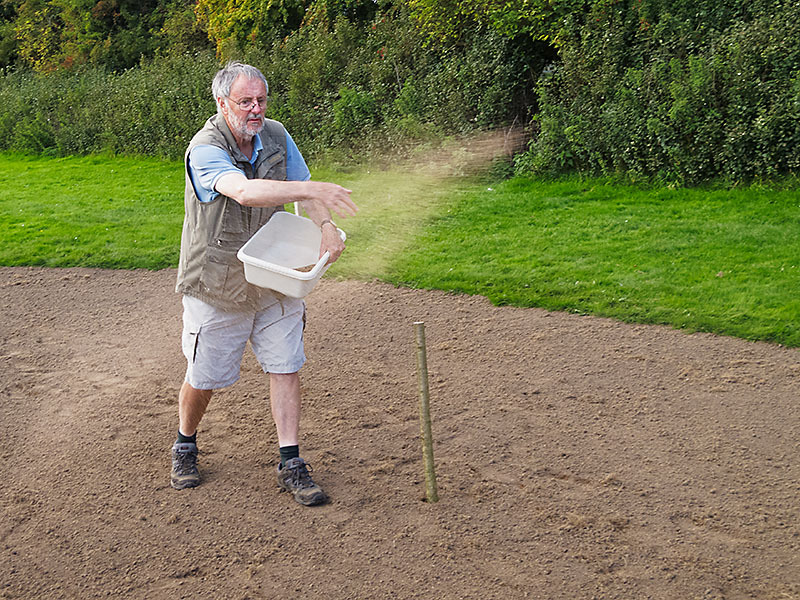 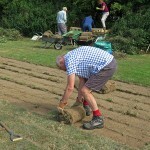 By 30th August, rain had softened the ground and 5 volunteers lightly forked over part of the area and weeded. 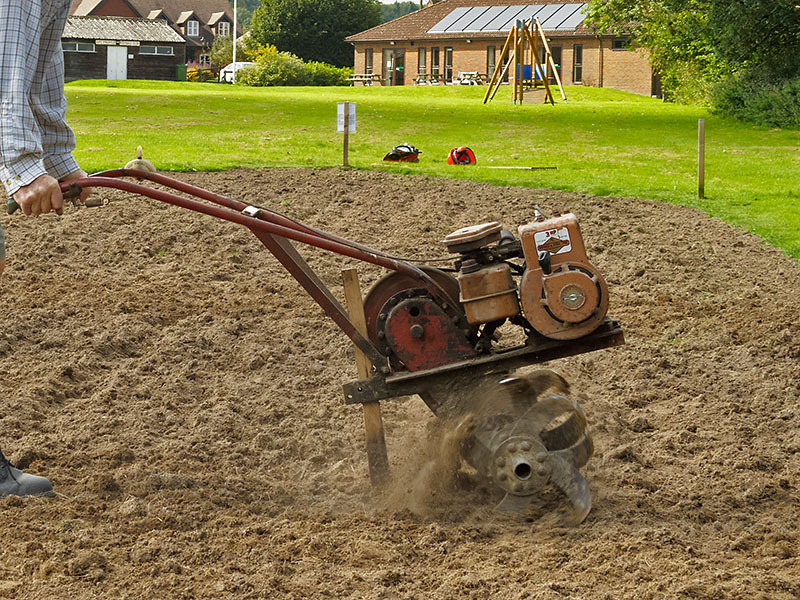 The loan of a vintage ‘Merry Tiller’ the following week proved invaluable to cultivate the whole area. 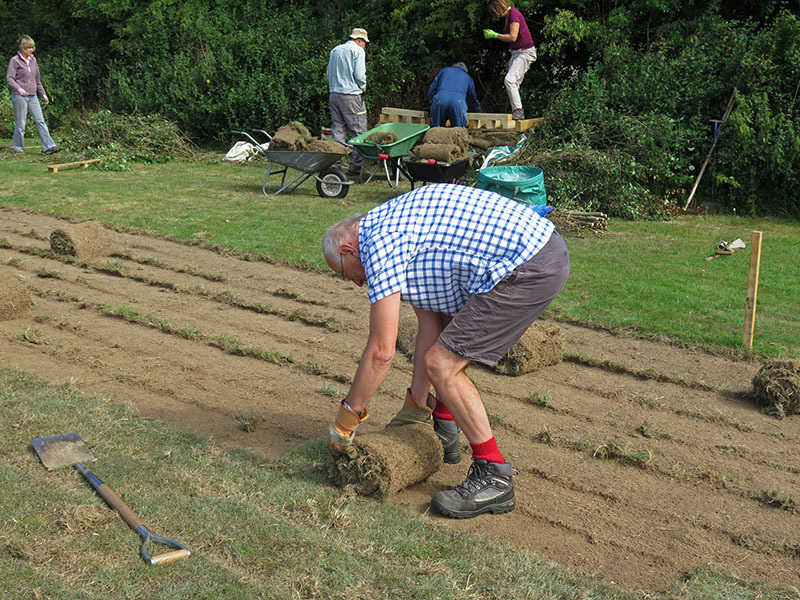 On 20th September we raked and levelled the soil to produce a good tilth, then broadcast sowed the seed before it rained the next day.